MAKING THEM SOUND GREAT ISN’T. in minutes and get great results without hum or profanity. For more information on additional and custom cables, go here. 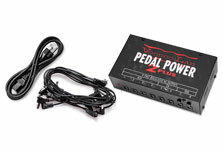 Pedal Power 2 PLUS is manufactured to operate from a specific supply voltage. There are three different models, which accept 100V, 120V, or 240V mains. 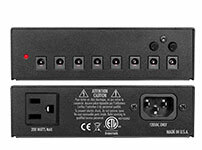 All units sold in North America are for 120V only. You cannot operate a 120V Pedal Power using 240V power without the correct step down transformer. The supply voltage is marked on the bottom of the unit. 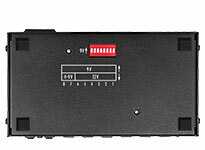 Each output on the Pedal Power 2 PLUS is short-circuit protected. This means that if you have a short in a power cable, or one of your pedals malfunctions, PP 2 PLUS will temporarily turn off the power to that pedal. All other outputs will continue to function normally with no long-term damage.